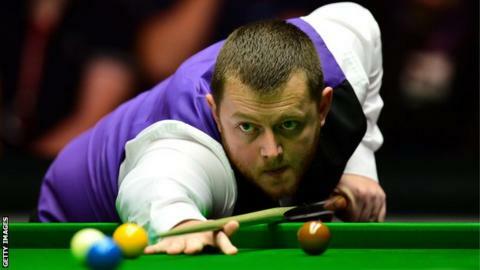 Mark Allen held his nerve in a final frame decider to beat Barry Hawkins 4-3 and progress to the Welsh Open quarter-finals in Cardiff. The Antrim player moved into a 3-1 lead at the Motorpoint Arena on Thursday but Englishman Hawkins fought back to win the next two frames. Allen prevailed in the deciding frame and the world number nine will meet Michael White on Friday night. The Welsh player beat former John Higgins 4-1 in the fourth round. Allen hit two centuries as he defeated Ryan Day 4-1 on Wednesday to set up a last-16 encounter with Hawkins.